There’s nothing like a long, hot shower to help you relax and rejuvenate, but indulging in this way can be wasteful. A hot water heater near Jacksonville needs to continue using energy to keep the shower water hot, so long showers lead to higher energy bills and a larger carbon footprint. Modernizing your bathroom design with upgraded appliances and fixtures can be useful in this scenario. A new showerhead can save water and energy by helping you keep your showers short, which in turn creates less carbon dioxide. Keep reading if you’re interested in saving the planet one shower at a time. Saving the planet is all about saving our resources. If we burn through everything we have now, future generations won’t have the materials they need to survive the world. A low flow showerhead is a perfect example of a basic bathroom upgrade that can make a positive impact on the environment. These showerheads produce significantly less water than their traditional counterparts, so both water and energy are conserved. In addition to using less water, your hot water heater will benefit from using less energy to keep the water heated. Some people are picky with their showers, and they’ll only get in when the water is a certain temperature. This typically means running the water for a minute or two until reaching this temperature, which is more wasteful than you might realize. 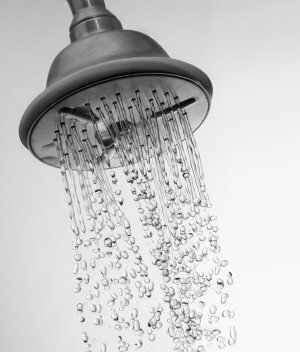 With certain low flow showerheads, you can enjoy temperature control and timing settings that resist this waste. Temperature control adjusts the temperature of the water before you put it on full stream, and timer add-ons motivate you to keep your shower quick. Reducing carbon dioxide helps save the planet too, and a quick shower will help. You use less electricity when you take shorter showers, which means you produce less carbon dioxide in turn. Use a low flow showerhead if you want to reduce your carbon footprint and energy bills without sacrificing your comfort. 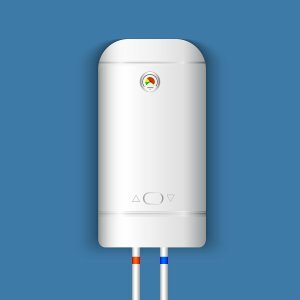 If you have just purchased a tankless water heater in Jacksonville , you already expect it to stick around for many years to come. You can extend the life of your water heater even further by softening your water. Hard water isn’t necessarily bad for you, but it’s not quite desirable for the home. Water softeners combat the problems that hard water brings to your appliances and fixtures, and they can bring your household efficiency up in the process. Keep your appliances in top shape by reading on to see how water softeners can extend the life of your tankless water heater. Hard water is water that has too much calcium and magnesium content. It won’t lather readily, and it can leave a scaly residue on your appliances, fixtures, and even the dishes in your dishwasher. A water softener uses an ion exchange process to change the quality of the water by adding sodium to the mix. Sodium interacts with the magnesium and calcium to soften the water and prevent the buildup of scale that could affect your appliances. Your water heater won’t have to work as hard, so it should enjoy a longer working life. 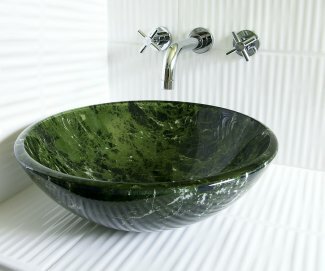 Vessel sinks are still on the rise, but they can be a nice addition to your bathroom or kitchen’s existing design. There are a couple of elements to think about when you look for the perfect vessel sink for your home. One of the most important elements will be your faucet. When you’re planning on taking on a kitchen or bathroom remodel near Jacksonville, you will need to focus on both the aesthetic value of your options as well as how they will operate. Read ahead for some advice on how to select a faucet for your new vessel sink. When you choose a faucet for a vessel sink, you need to focus on 2 specific elements: your bathroom’s aesthetic design, and the practicality of the parts you’re looking at. First, think about whether you would prefer a faucet that is deck or wall mounted. A faucet that’s mounted to the deck is a good choice for taller faucets, while wall mounted faucets can be nice additions to brand new bathrooms. Always make sure your faucet opens up right above the center of your vessel sink to keep the water from splashing out of the bowl. When you realize that you’ve been spending a concerning amount of money on toilet repair near Jacksonville , you should start thinking about replacing your current unit. If it is indeed time to get rid of your toilet and find a new one, keep your bathroom design and your plumbing systems in mind. Watch this video and find out if it might be time to replace your toilet. If you’re thinking about replacing your toilet, you should know what kinds of factors to pay attention to. You’ll want to find a unit with a powerful flush and that is also energy efficient. Some toilets also do a particularly good job at resisting clogs. Your toilet tends to take up almost a third of your water consumption, so it’s important to choose wisely. If it’s time for a new toilet, pick a model that is both efficient and comfortable.